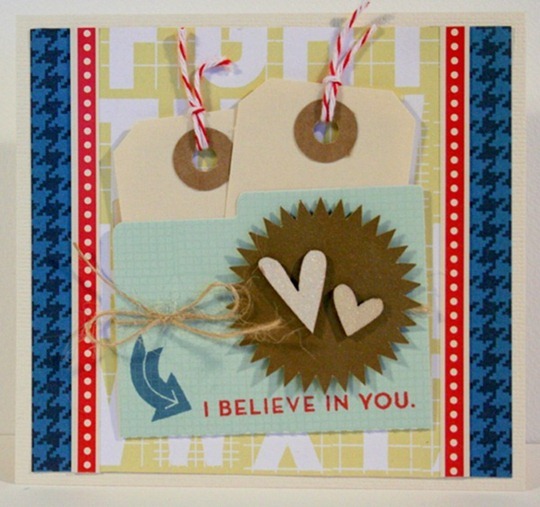 Today there is a card challenge at SWE Scrapbook and this one was a bit of a struggle for me. It’s a sketch and a color combo, and the colors are not ones I usually put together. Yellow, red and blue. In the end my card doesn’t really look like the sketch even though I followed it.